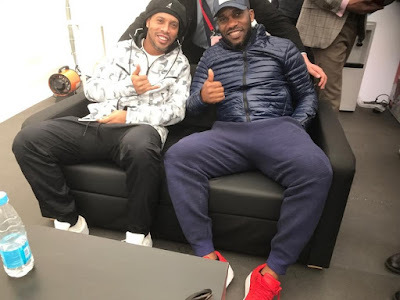 Super Eagles Legend, J.J. Okocha shared this photo as he posed with Brazil Legend, Ronaldinho. "Thank you so much my friend for all the wonderful memories. Good luck for the future bro ✌🏾@Ronaldinho #legend🙏🏿👏🏿"